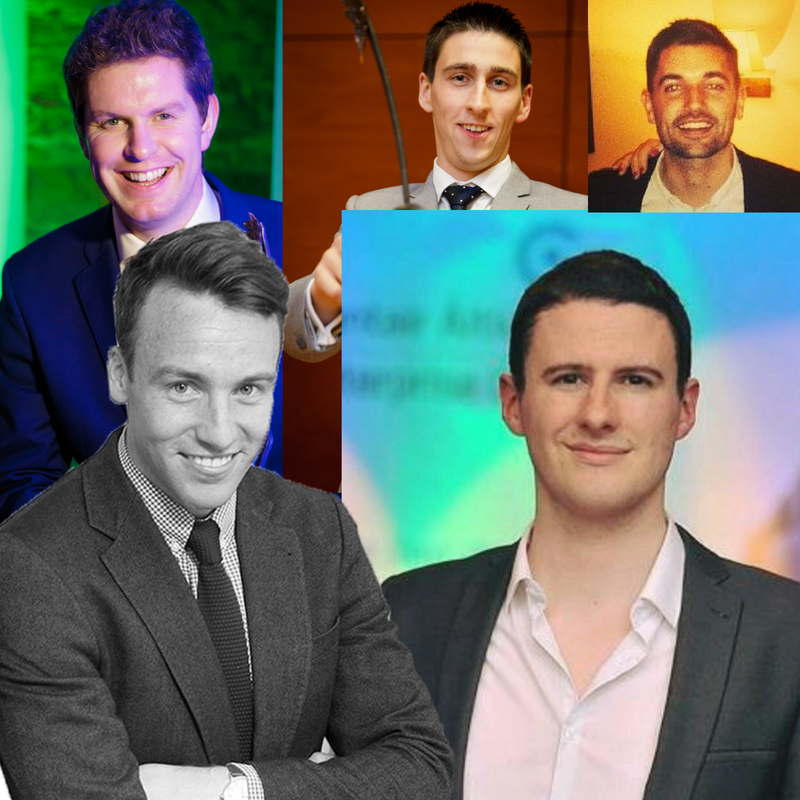 We asked some of our #IBYE Finalists from 2015 to pass on their best tips for entering Ireland’s Best Young Entrepreneur. We shared Part One with you last week where we shared three top tips to give you an insight into the Competition from application stage, through the Bootcamps and into the County, Regional and National Finals. No matter what stage you reach the opportunities are immense! 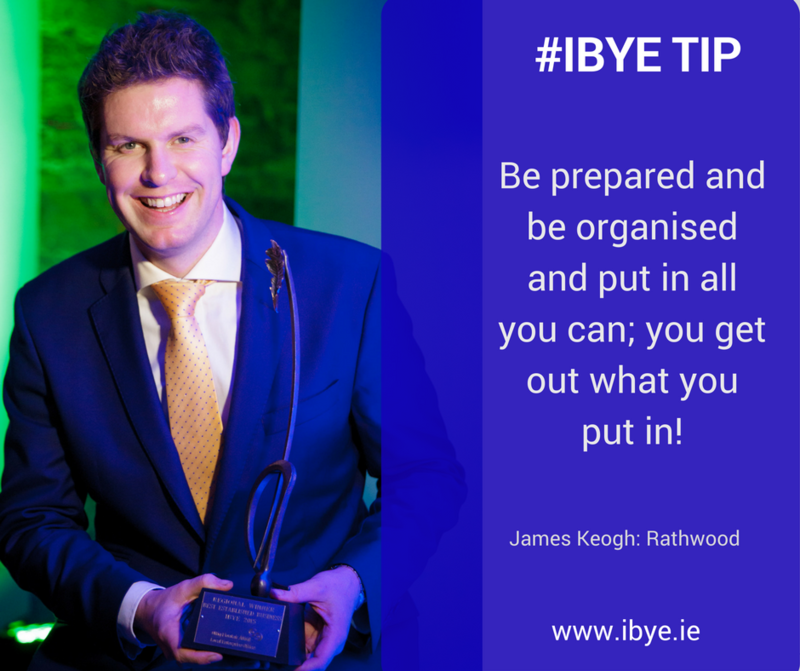 The tips for #IBYE given by the Finalists were so valuable, we traded top secret advice with FIVE more; so here’s some more TOP TIPs to enter #IBYE! Well you have to be pitch perfect! Lots of pitch support at the #IBYE Bootcamps! Diarmuid Byrne entered through Carlow Local Enterprise Office and galloped through to the National Final with EquiRatings! Exactly! 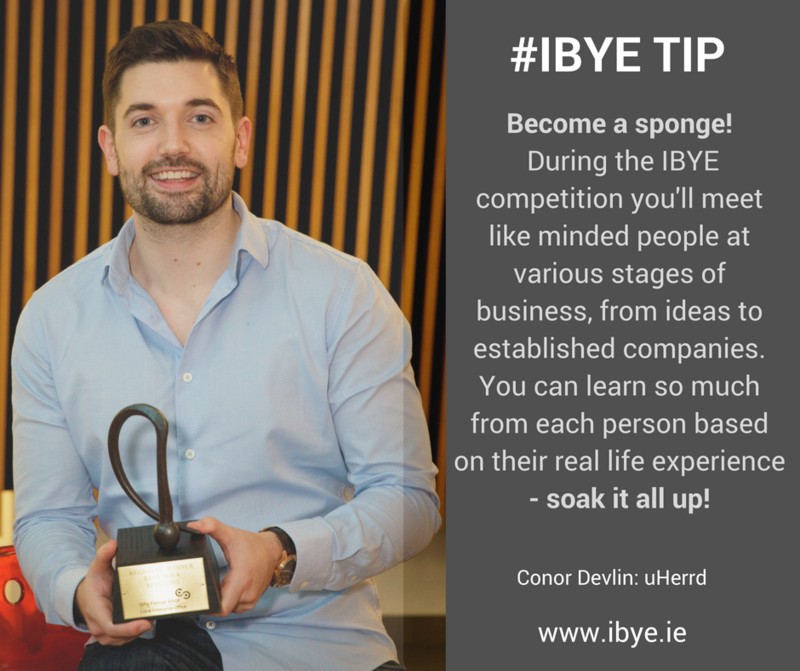 One of the best things about the IBYE Competition is the opportunity to learn how to take your business or idea to the next level. 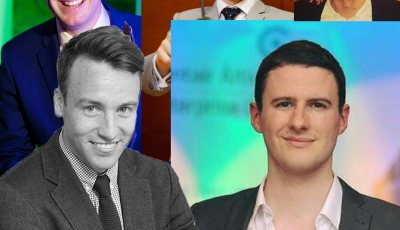 Conor Devlin entered #IBYE through Kildare Local Enterprise Office with his brilliant StartUp idea; uHerrd. James is so right! 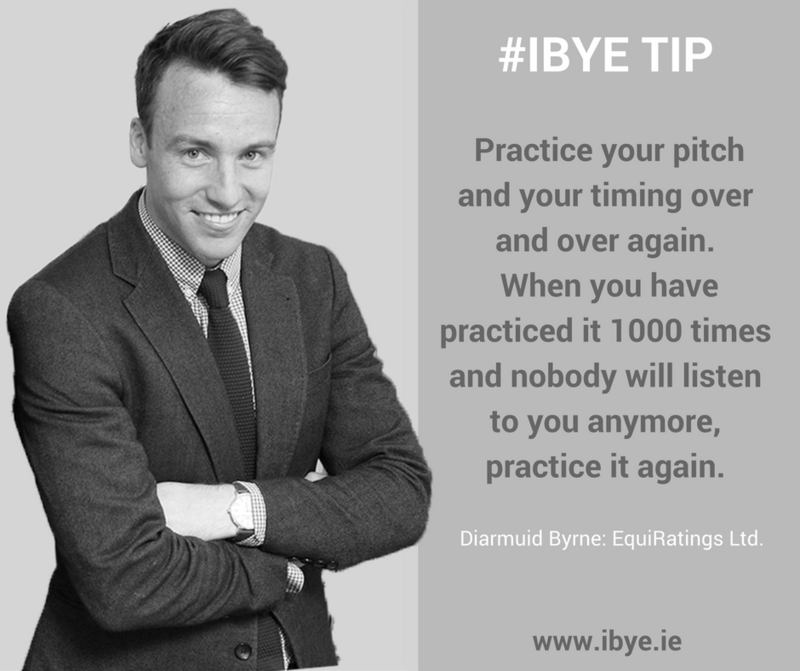 IBYE isn’t an everyday opportunity so make the most of the insight you gain from the people you meet. Showcase you and your business to the best. You never know who may be watching! James Keogh entered through Wicklow Local Enterprise Office with his amazing established business; Rathwood Ireland. Eddy makes sense. You have to believe in your business, product or idea and know that it has a tangible framework to take it to the next step!. 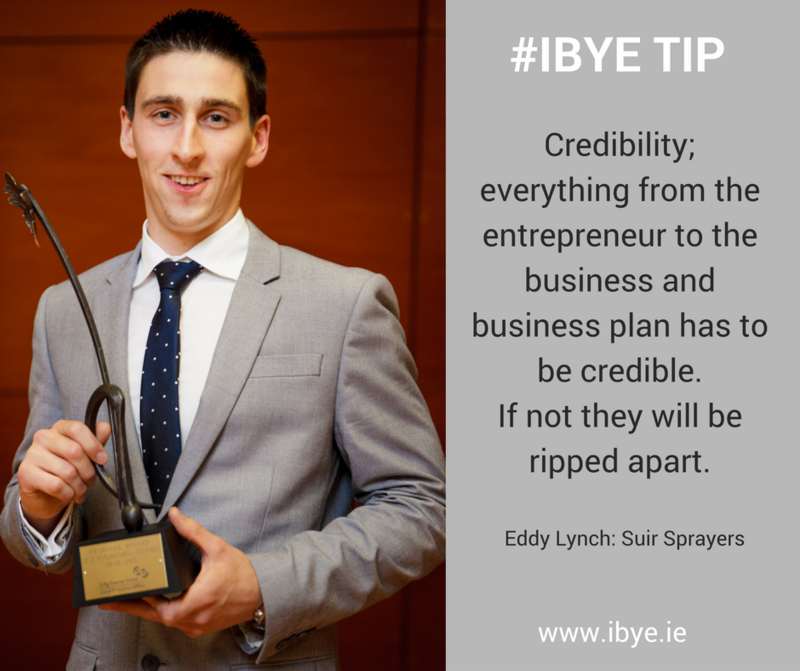 Eddy Lynch entered through Waterford Local Enterprise Office with his dynamic business, Suir Sprayers. We agree Daniel! Find ways to stand out so that you’re ahead of your competition in innovation, service and quality. It’s one way to get your business moving! 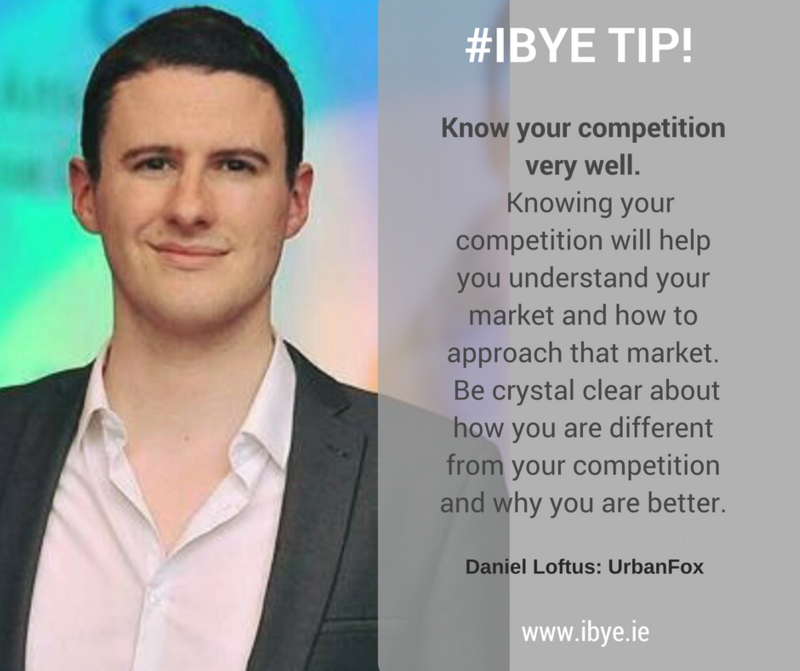 Daniel entered through the Mayo Local Enterprise Office with his innovative tech Company, UrbanFox.